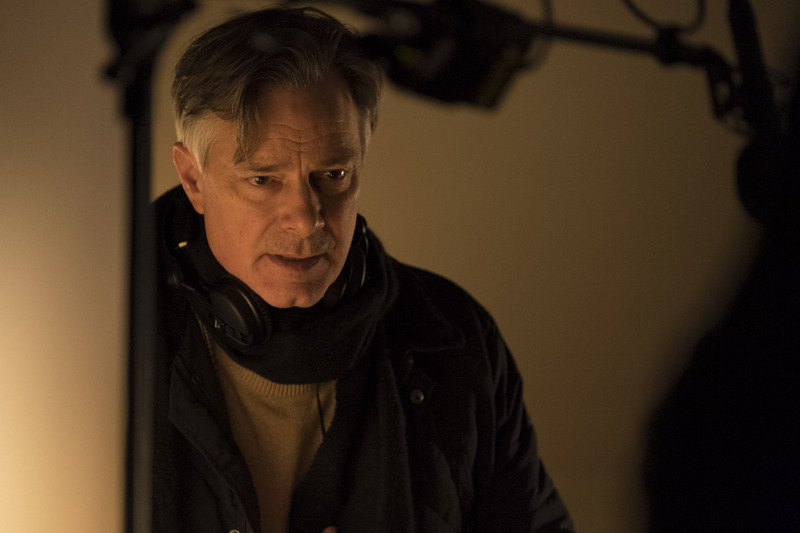 Whit Stillman on the set of LOVE & FRIENDSHIP. Photo credit: Bernard Walsh, Courtesy of Amazon Studios and Roadside Attractions. LOVE & FRIENDSHIP is the adaptation of young Jane Austen’s novel Lady Susan, which is set in the 1790s. Its central character, Susan Vernon (Kate Beckinsale), is a beautiful but naughty widow who comes to Churchill, where she decides to secure a husband for herself and for her daughter, Frederica. The film directed by Whit Stillman brings beautifully to life all the dramatic twists and turns that happens in LOVE & FRIENDSHIP in a very extravagant and funny way. During Whit Stillman’s visit in Toronto, I had the pleasure to have a few minutes with the filmmaker to discuss a kind of film that we wish to have more of nowadays. MOVIEMOVESME: You have written a book to accompany the film. Can you talk about it? Whit Stillman: Yes, it was a crazy idea, I did this once before. I was intrigued by the idea of doing it again. I liked the material so much but the original was kind of hard to read and so I had the idea of turning a film into a modern style novel. So I had the contract but couldn’t release before the film and that was helpful because there were a lot of things that begin the film and then continue or end in the novel. MOVIEMOVESME: How did you decide to put the character of Roofus in the mix? Whit Stillman: Roofus is the narrator of the novel and the nephew of the comic standup character of the movie; so I liked having that comic perspective throughout the novel. There’s a filter for looking at the material; he does this crazy thing where he tries to justify his act which is very hard to justify. MOVIEMOVESME: This was your second time collaborating with Kate and Chloe. What was the reason behind working with them again? Whit Stillman: They’re the right age and have the right nature for this film. It was a very fun idea working again with them. I can work with them again and again as they’re natural performers for this friendship in Love and Friendship. There’s amazing friendship between these women. MOVIEMOVESME: How did Tom ended up doing this project? Whit Stillman: It was a curios thing as I always look for an actor who’s right for the role and I met many good actors who, for one reason or the other, the performance didn’t come to life. For this role there were three actors who were really interesting and am really glad he shone through finally because he has the right kind of lovely, sweet charm that was really engaging. MOVIEMOVESME: Can you talk about the idea of including those portraits and pictures in the introduction? Whit Stillman: This was kind of an accident. In the beginning of the script I’d written character descriptions for actors to read them and understand them. Then while shooting one of the scenes, we needed extra time so everyone got together and I asked them to create these very dramatic portraits. Then we’d put two items together to get a very funny, revealing and in time set up the comic tune of the film. Then we did that with all the characters. MOVIEMOVESME: Can you talk about the location and the buildings that you picked to depict Jane Austen’s time? Whit Stillman: This region of Maryland is the main location for a lot of period films because the central half is still quite 18th century in the way it looks. We thought of shooting in England where the story takes place but it has become a big huge city. Here we could shoot the film in a very beautiful location very efficiently. There have been wealthy English families who built these amazing residential places where we shot our film. MOVIEMOVESME: Which scene from the film is your favorite? Whit Stillman: I have two favorite scenes: One is the commandment scene and the other is one where Sir DeCourcy goes to the church and talks to the young children that I find quite moving myself. MOVIEMOVESME: What would you like the viewer to gain from the film? Whit Stillman: The film is a comedy. There’s effort and energy in that and escapism in the film. I guess it’s constructed purpose is to alert the viewer to the charms of persuaders, who deceive everyone else and are not to be trusted.